This year, my family and I spent Thanksgiving in Newport, Rhode Island, my dad’s hometown. The journey got off to a great start. We were an hour early for our flight (unlike last time where we literally ran through the gate). 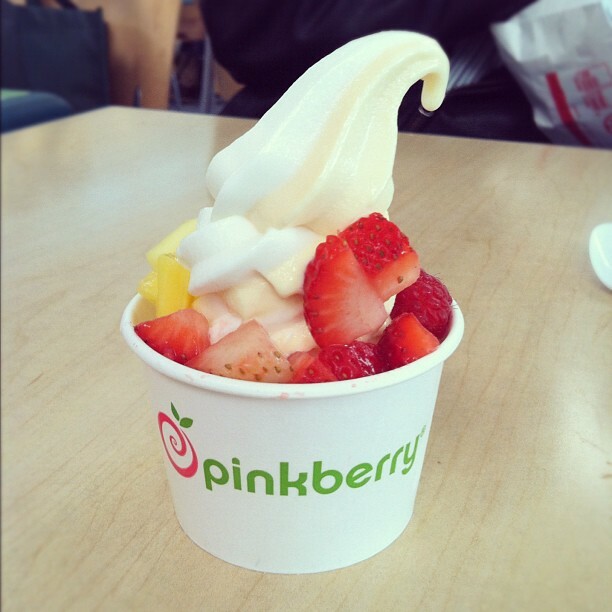 Even better, there was a brand new Pinkberry in the terminal. I’m not the biggest fan of Arby’s and Panda Express (airport staples), so this frosty, coconut-mango goodness put me in a great mood! I was carrying two pumpkin chocolate chip loaves, a loaf of orange cranberry bread (recipe coming soon! ), a huge Ziploc of cornbread cubes (for my apple cornbread stuffing), and a big panettone (also for my stuffing. Just for the record, panettone works wonders in stuffing — those sweet, citrus-y notes of panettone along with apples, cranberries and heavy cream are to die for. Thank you TSA for not taking my baked goods from me. Soon after we landed in Newport and said our hellos, the cooking commenced. 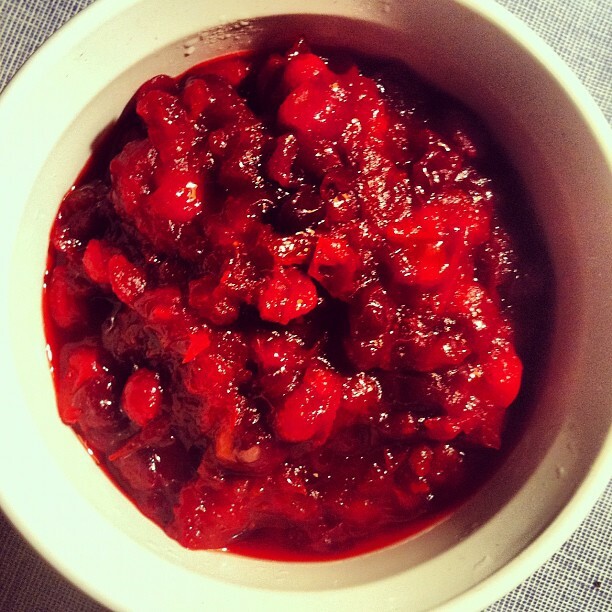 I made Julia Child’s simple cranberry sauce. (even though my dad insisted on buying the canned stuff as well). In my opinion, freshly popped cranberries with citrus zest will always win over the stuff that still has can rings on it… but to each his own ;). 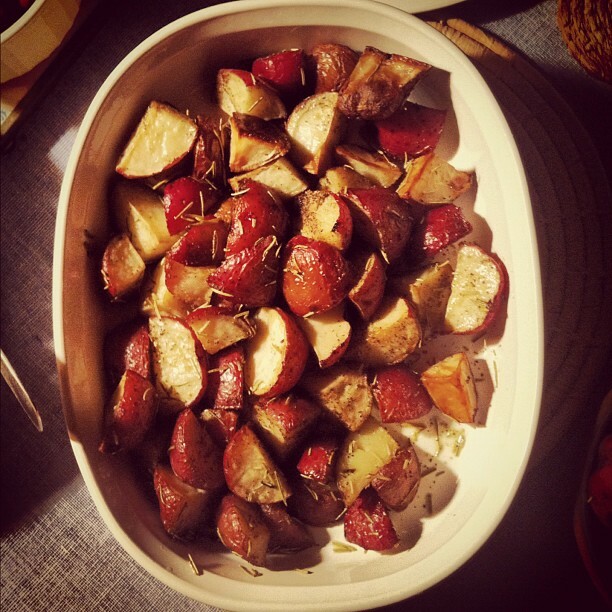 Instead of mashed potatoes, I whipped up some rosemary roasted potatoes. 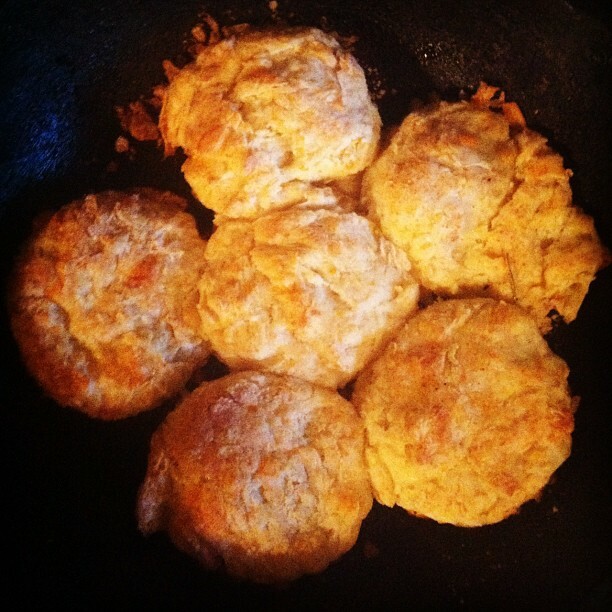 With crunchy, oven-fried edges and smooth insides, these were addictive. 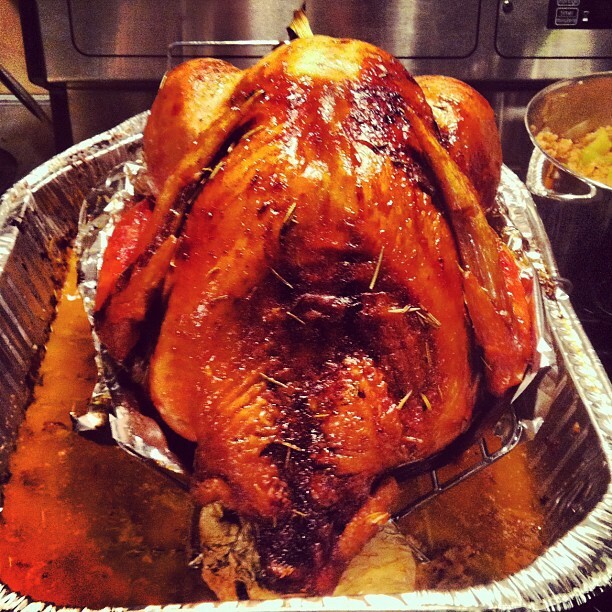 My dad made the turkey, isn’t it festive? Look at that shiny glaze! 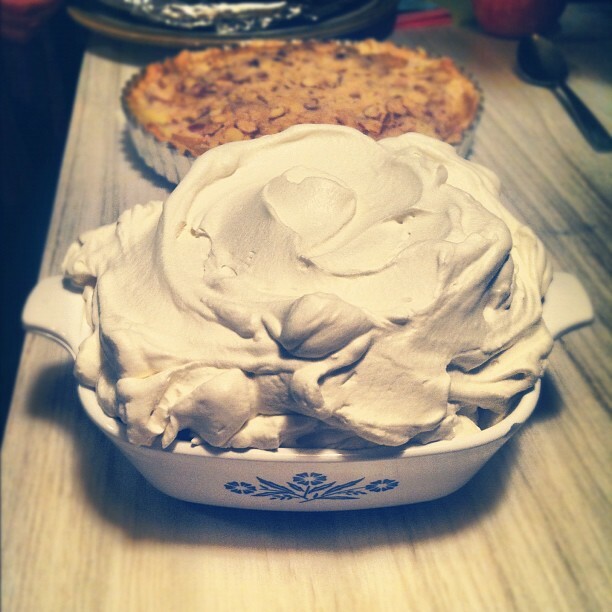 Looks like it jumped out of Martha Stewart to me– nice job daddy! But these sweet potatoes stole the show. 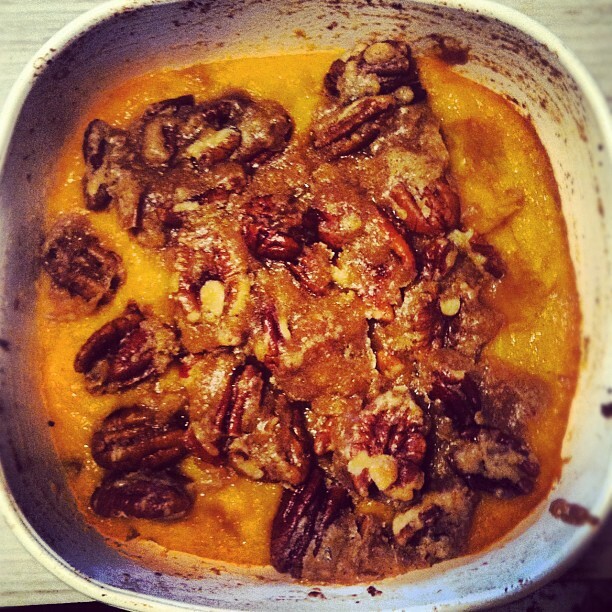 I made Ruth Chris’ sweet potato casserole, and it was an all around hit. 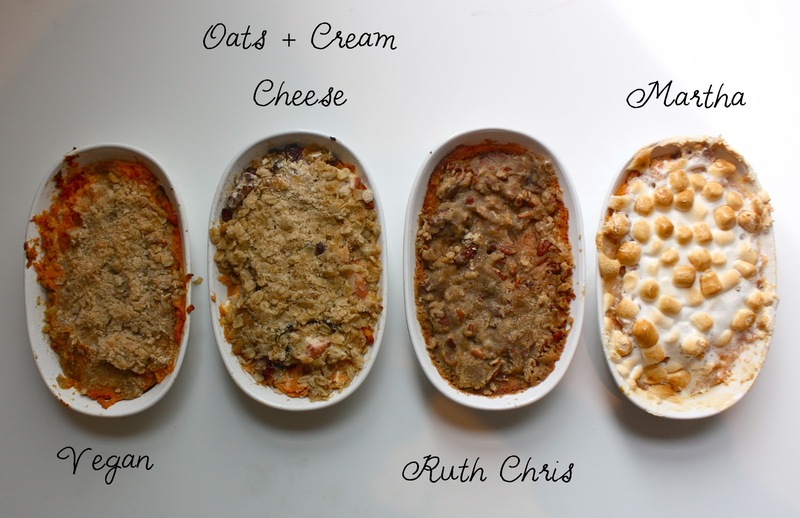 Make this for your next holiday gathering… or dinner tonight. You’ll thank me. I did take some breaks from the kitchen to walk around Newport. 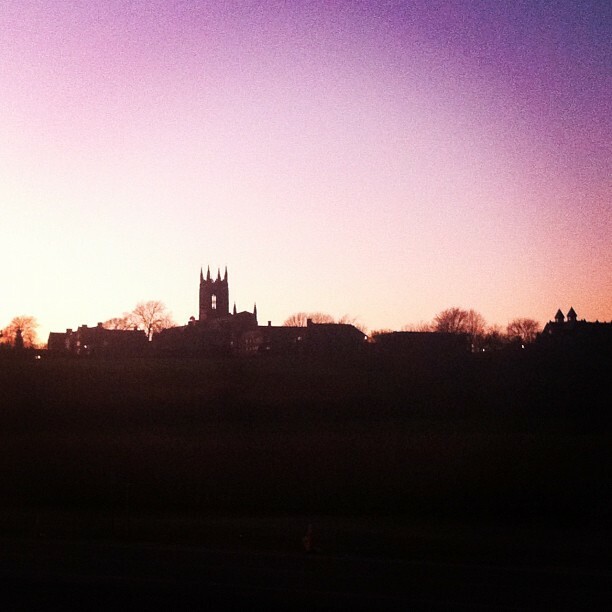 The silhouette of St. Georges (my dad’s high school) looked so gorgeous and purple at sunset. 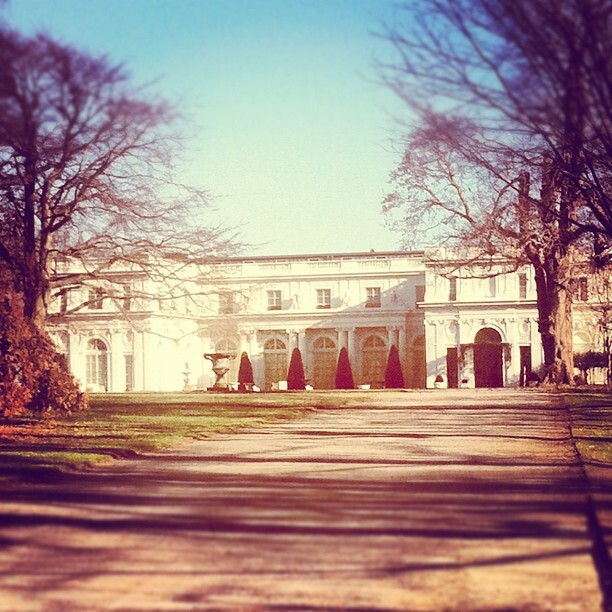 I walked past Rosecliff mansion. Funny because we are reading the Great Gatsby in school at the moment. Party at Gatsbys? 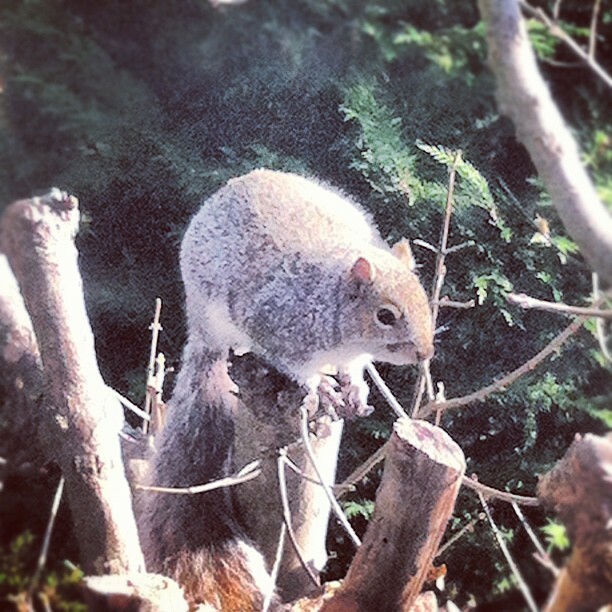 When I woke up on the next morning, this little guy was perched outside my window. He literally sat there staring at me for an entire 20 minutes. (don’t judge me for staring back the entire time… no wonder I almost didn’t finish packing). 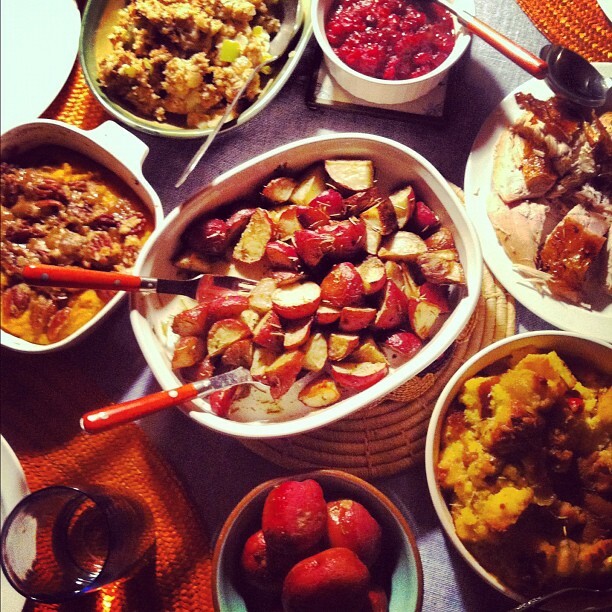 Hope you all had wonderful, cozy Thanksgivings! Get psyched for Christmas cookie season! This take cornbread to a whole new level! Instead of a traditional apple pie, I plan on making my crunchy custardy tart with apples instead of peaches. I am going to sprinkle this with Pumpkin seeds. We can have this for breakfast the following morning.